A pie chart shows amounts as a percentage of the total amount. 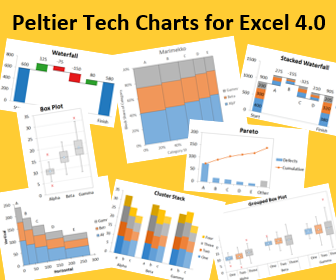 Other charts, such as a bar chart or a column chart, are better for showing the differences bwtween amounts. If you need a pie chart, create a simple one, without special effects such as 3-D. Then, format the data labels, so the data is easier to understand. 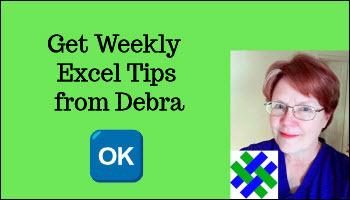 Watch this short video to see the steps for making and formattin an Excel pie chart. In this video, we build an Excel line chart to show sales over six months, and show the target sales range in the chart's background. In the data, you will add the high and low values for the target range, and show that range in the background of the line chart. 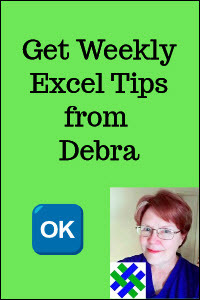 Watch this short video to see the steps for making an Excel line chart with target range.